Decorating the tree. Playlists filled with holiday classics. Ice skating and sleigh riding. Cozy Hallmark movie nights. Celebrating the season with those you love most. These are just a few of our favorite things. Our intention is to inspire you to embrace the wonder of this time of year–all the tidings of comfort and joy. All season long we’ll be adding new articles and more to this page, as part of our very first content collection. Consider this your hub for the holiday season. From all of us at Spire & Co, may your holidays be merry and bright. This month, join us in embracing all the comfort and joy that this holiday season offers. 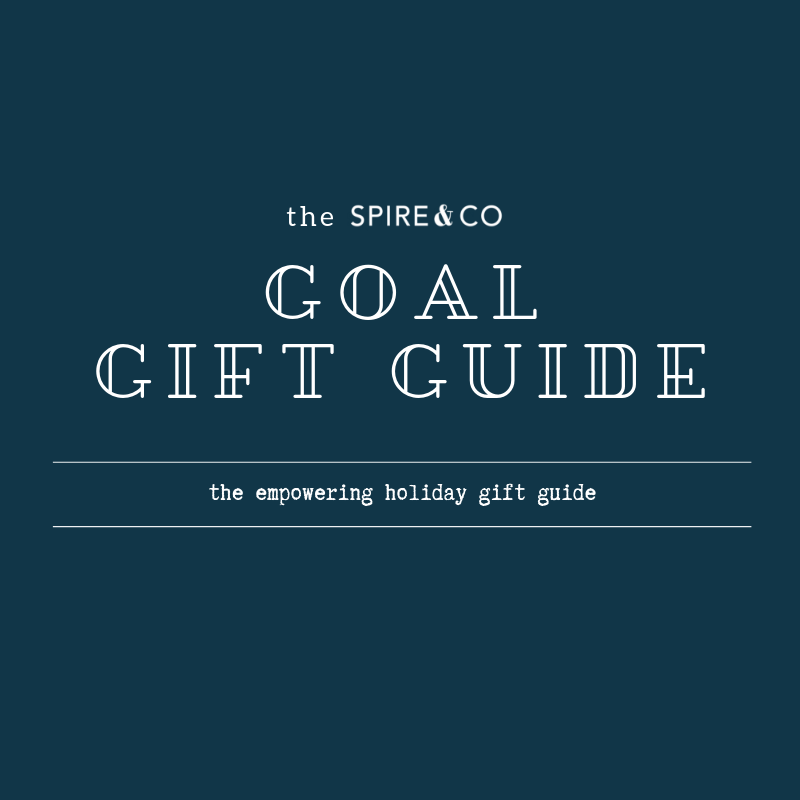 This year, cheer on your loved ones’ ambitions by giving gifts that help them make their goals a reality. It’s the season of giving and our resident nonprofit professional is sharing her expertise on how you can make a lasting positive impact.